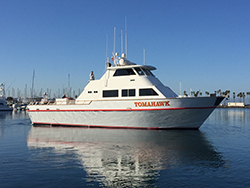 Captain Jeff Spafford checked in this morning with an update from the Tomahawk out of Fisherman’s Landing in San Diego, CA. We are at the Bluefin Grounds and the fish are biting today. 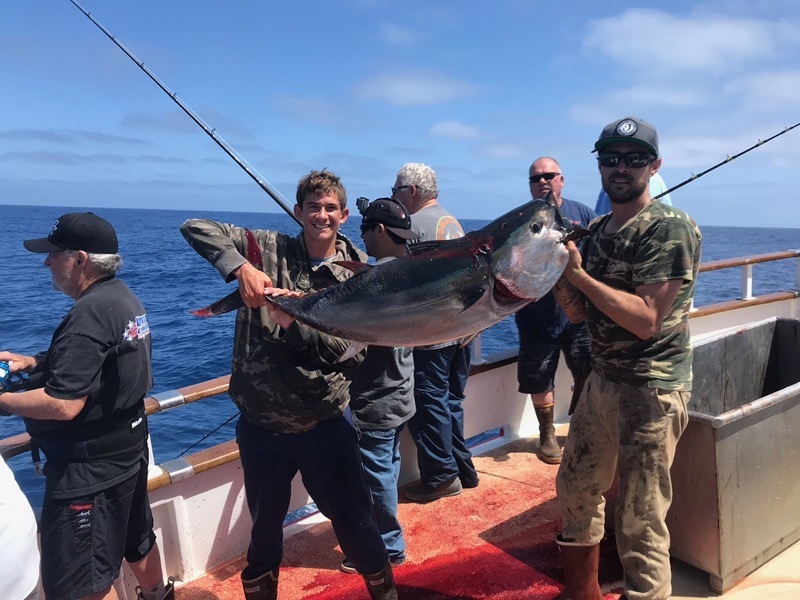 We have 4 Bluefin on the deck in the 50 to 70 pound range. We also have 7 fish hanging. They are biting 40, 50 and 60 pound fluorocarbon. 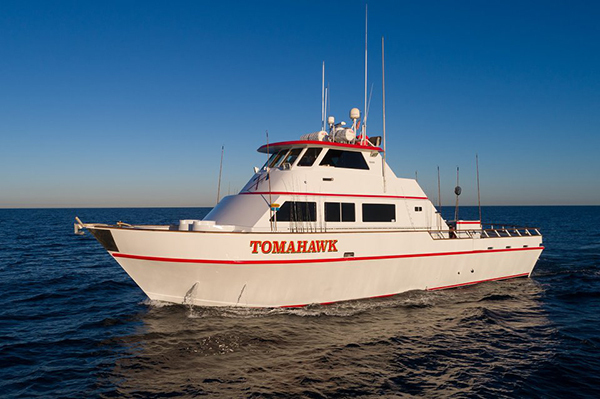 The Tomahawk is online at Fisherman’s Landing in San Diego call (619) 221-8500 to get in on the action.